Open Enrollment for California health insurance. This will affect the pricing, options, and networks for the full year of 2019! Just like Christmas, some people will get a shiny new tax credit while others might find a lump of coal under the health insurance tree. A lot is remaining the same but there are some changes. Most importantly, we're really insuring year to year now. We have to re-evaluate the options available to us each open enrollment as they change quite a bit. It's no fun but we need to re-evaluate. We have helped 1000's of Californians enroll in health insurance and we're certified Covered Ca agents. There's absolutely no cost for our assistance. Call 800-320-6269 or email us with any questions! A great deal is staying the same. Many people assume with all the political discourse that something is going away. There are two pretty big changes for 2019. Short term health insurance (banned by State legislators starting 9/1/2018). Blue Shield is stopping the Blue Card network option for individual/family plans. As a knee-jerk reaction to Trump's expansion of short term health plans, the California legislators banned all short term health plans. We lost our only carrier, IHC eff 9/1. 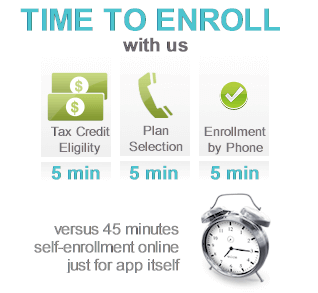 Now, our only option available for short term is AlieraCare which is a health sharing plan. You can quote or enroll in that here. Secondly, we lost our only option for non-emergency coverage outside of California for most of the State. Blue Shield's individual/family plans allowed access to the Blue Card network through their PPO plans which lets you see BCBS providers in other States. That will go away in 2019. This is tough for people who live close to the border with Nevada or Arizona or who travel frequently. The only work around is to try to form group health plans if that need is mandatory. We can help you investigate this option. Otherwise, there are some pretty big changes in pricing from carrier to carrier across the State. It's really important to run your rates below for each open enrollment now since it can change significantly. Of course, the tax credit also changes so let's look at that piece. This is the heart of the ACA health law. Tax credits based on income. That's not going to change in 2019. You need to enter your income and size of income. Those two items usually cause the most trouble when completing the application. There are other "gotchas" to look out for but we can help with that process at no cost to you! The 2019 Covered Ca tax credit is designed to go up with the rate increases but it can really vary based on the plan you're on. The tax credit is designed to match a specific plan from a specific level. Let's say that plan goes up 10% but your chosen carrier/plan goes up 20%. In that case, you may see the net 10% rate increase hit your monthly premium even if the tax credit went up! The income level goes up each year to match general inflation. This is an estimate for 2019 income (your tax filing of April 2020). Below 138%, all members will be offered medi-cal. You can avoid the medi-cal but you will have to pay full premium. Just over 138%, there are big tax credits and richer versions of the Silver (94 and 87 are very rich). Over 400%, the tax credit goes aways completely. If you're really close to the 400%, contact us so we can look at strategies to get under the wire and make sure you're using the correct income estimate. Call 800-320-6269 or email us - as Certified Covered Ca agents, there's no cost for our assistance. Children under age 19, will be offered Medi-cal if income estimate is under 266%. 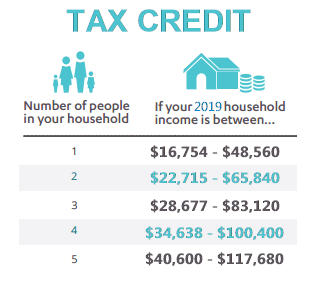 Keep in mind that if your actual income is over the estimate but under 400%, you will have to pay back a percentage of thee extra tax credit you were not eligible for. Technically, there's a $300 penalty for your actual income being under the medi-cal range (if you get the tax credit) but they haven't applied that yet. 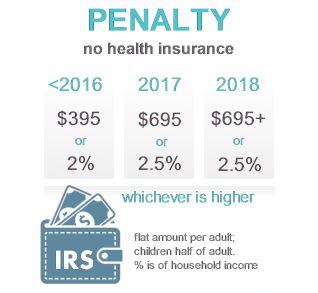 What about the 2019 Obamacare tax penalty? The tax penalty is going way in 2019. As far as we know right now, there will be no tax credit when you file taxes April of 2020 for the 2019 year. Of course, many of these carriers will only show in certain counties. Only Shield attempts to have full State coverage with their PPO. It's really a split affair. If you qualify for a tax credit and are older, the rates can be great. If you don't, it can be really tough. It's not out of the ordinary to see people in their 50's and 60's with $1000/month premium. That's not tenable for most people especially if they're just outside the tax credit limit. The only real alternative to ACA plans (either Covered California or off-exchange) would be health sharing. There's one health sharing plan, AlieraCare that stands out among the rest and they have been very popular since the 2017 Open Enrollment when rates really started to jump. That's it. California will not going along with the short term expansion...in fact, they banned all short term health plans! If we miss open enrollment, we would need a special enrollment trigger to get on board for either Covered California OR off-exchange plans. We're happy to walk you through this process (there's no cost for our assistance). If we missed open enrollment and we don't have a special enrollment trigger, then we only have health sharing plans like AlieraCare which you can quote/enroll here. So...when do we have to enroll by for 2019 health coverage? 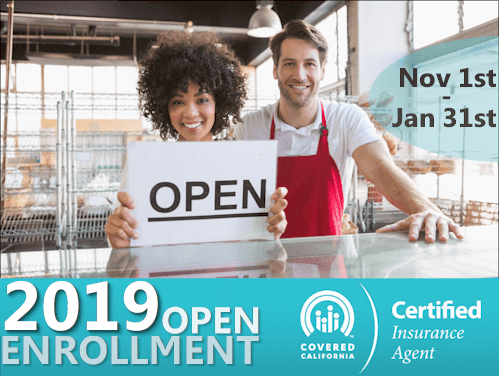 Open enrollment runs Nov 1st through Jan 15th, 2019. If you lose other coverage, we can enroll any day prior to the 1st of the month you want coverage to start. This applies during open enrollment or throughout the year. We have to enroll by the 15th of the month to get the following 1st. Otherwise, we'll get the 1st following that month. We are certified Covered California agents and there's no cost for our assistance. 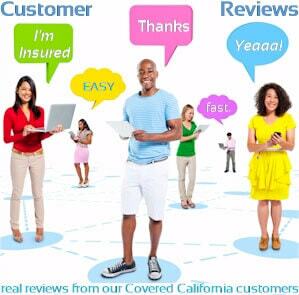 More importantly, we have helped 10's of 1000's of Californians quote, compare, and enroll in the right plans since 1995! With zero complaints at the DOI. We know the rules, quirks, and process of how they work. You can run your quote here with tax credit (choose on-exchange) or call us at 800-320-6269 or send us an email. You'll know within 1 minute of speaking with us that you found the right assistance. You can run your 2019 Covered California health quote here to view rates and plans side by side from the major carriers...Free.